Making use of Digital media for promoting your business to generate more leads is the primary segment of marketing strategies. With increasing competition, you have to be more creative, more active and more innovative while running your social media campaigns. The business world is getting digital rapidly. Your digital appearance creates an image of your organization in people’s mind. Implementing social media strategies effectively to convert the targeted audience in the customers is the biggest challenge in front of the marketers and entrepreneurs. If you are an entrepreneur who hasn’t yet started promoting their business digitally and if you are feeling that your competitors are totally immersed in social media and other digital marketing tactics, then you should think of taking steps towards online marketing or at least hire someone to do it for you. It’s never too late to start investing in your online appearance, it does not matter what industry you’re from, a huge part of your potential customers are already online, researching and comparing for prime offers on the kind of products or services you sell. And unless you situate yourself as the top you can to get those prospective client eyeballs on your offering, odds are those leads will select your opponent. To become the first choice in the market, you need to update your digital media accounts very fast by yourself or by hiring someone to perform various digital marketing tasks. How do you hire a social media agency when you’re not experienced it? What are you supposed to look for? What questions should you ask? 1.Where is the company standing in the market? Remember to check the reputation of the company in the market. You can easily find out how well they are doing by seeing the ratings and reviews on different review sites. This will give you the overview of how actually they work, are their previous clients and service providers are happy with their work or not. This research will make it easy for you to take the decision. Do not forget to check out the company’s past record. Like, what kind of popular digital marketing campaigns they have done and how beneficial that campaign was in terms of ROI and lead generation. If you find out that during the interview the representatives are not comfortable to talk about the past achievements; then possibly they don’t have any significant accomplishments to share, In that case, you can give the company an opportunity to work with you on a lower budget or just can find some other company. 2. How are they different from others? Why should you give this work to them and not to any other company in the town? What are that they are going to offer special services that are unlike from what others are providing? What makes the company stand out in the market? Get answers to all these questions before taking the decision. 3.How well are they publicizing their own business? How a company markets its own business this will give you a lot of information on how the company will work on your project. And this is very easy to know how well they are publicizing their business just Ask yourself how you got to know about them. You don’t need to take much effort to find out the answer to this question. Go on their Facebook pages and other social media accounts to see what different kinds of campaigns they are running to spread their own business. You can ask this question to the representative in the interview to know more about in house strategy planning and execution. Unique and original ideas work the best, so determine how creatively they are working on their own project and also remember to find out what are different types of online contests they run to increase the reach of their business. 4.Who are their top clients? If you don’t want to go into details and don’t have time to do proper research then just find out from which agency some high profile businesses are taking services. If you like the marketing idea of any company then try to know more about from where all these ideas are coming. If you couldn’t do this then while interviewing the representative ask them about their clients and check out the social media pages of that business. This will take some minutes and will give you the idea about the company’s work. It’s a good idea to ask the representative about their most prominent customers. Though, you should also be capable to say who those customers are by looking at the front page of the company website. The company that is serious about the marketing will add the information of the most prestigious customers on their own website. If there are no logos on the home page then possibly the company is not taking efforts for in house marketing or they don’t have any high profile clients. 5.What kind of applications and tools they use? Digital marketing has become the pivotal marketing strategy of the business world. You need to optimize digital platforms efficiently to get good results. Internet marketing can become easier with the use of internet marketing tools. These tools will help you to reduce your efforts and will give you better results. Remember that Internet marketing tools are essential and without these tools, you cannot optimize digital platforms fully. With the help of these internet marketing tools, you can ensure more lead generation and conversions. Tools created for analyzing the insights are useful in strategy making as it gives you details of your targeted audience.However, all tools in the market are not good. There are some tools with paid version which gives more accurate services, find out that if the company uses such robust tools or relying on the free tools. The cost that you are paying should include some high-quality tools which give better results. 6.Do they provide all the other essential services? All these services will make it easy for you to get the work done from one single agency or else you will have to hire different people for different tasks. Make sure the agency’s different offerings and capabilities match your company’s short and long-term goals. 7. How frequently they take the follow-up? Taking a follow up of the work is very important. Digital marketing is a continuous process. You cannot just post something and then disappear for a long time, so it is the responsibility of the agency to share something every day from your social media accounts and also give you the reports of results regularly.The tools and software used will play an enormous role in how they manage your account and report on improvement. That being said, some customers like to meet once a week, others like a formal meeting just once a month. Be frank with yourself – Will you need somebody to be on call if you have questions every day? Or do you feel relaxed handing over the execution of the strategy to the digital marketing company’s team, and just want to keep a track with a weekly call? Communicate your prospects from the beginning so that the company can assemble a team and schedule that meets your requirements. 8. Do they have qualified staff? 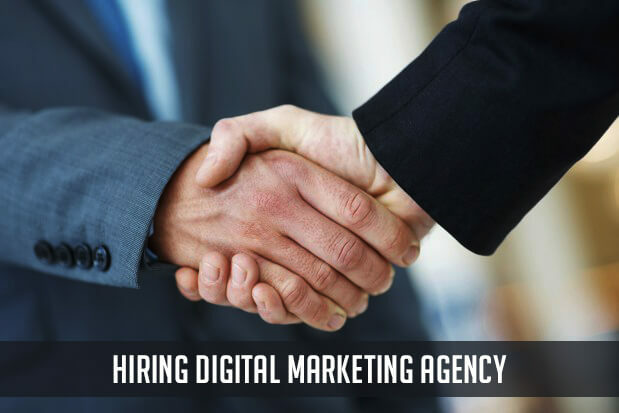 Make sure that the digital marketing agency has a good and well-qualified staff. They should have a team with creative and innovative mind set. Digital marketing is no different from traditional marketing in terms of creativity. It is necessary to have both technical and artistic skills with a significant level of imagination to become a digital marketing professional. Sometimes a marketing company may outsource some technical staff. A marketing firm might offer web design, but will these designs be outsourced, or are there an Art Manager and Design Group on staff? It is not bad to outsource some things, but if you’re refurbishing your company’s website or doing a complete rebranding, it’s much more comforting to know that there are experienced designers or web developers on staff. Try to know more about the social media executives, what are their skills and accomplishments as far as social media marketing is considered. 9.How long will the contract last? To get the more results from digital marketing you should choose a package that includes all the services mentioned above. The contract should have detail explanation of what all these services include. Also, the duration of the contract is important as the digital marketing starts showing results after 3-4 months so the initial contract should last at least for six months. In order to offer you with a solution that emphasis on company ROI, an agency requires getting a full view of the market, and you both need to be committed to your company’s long-term objectives. 10.Is the agency is process driven? The digital marketing company has a procedure of building buzz online. 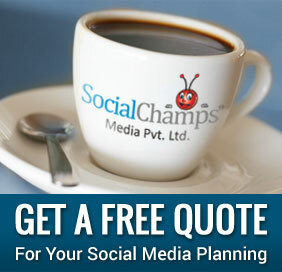 They have a focused method which they follow for effectively establishing digital campaigns. They understand very well what to focus on as the process grows.Try to know are there any such kinds of processes they are running in the company. Ensure that they execute such activities right from they take your project in hands. Make sure that the significant number of activities is process driven and not just improvised and also these activities need to be productively led by a team of individuals who would love to carry this forward zealously. Strategy, Execution, and Reporting everything needs to be done considering several practices. Hope this post gives you an idea as to what factors you should consider while hiring a digital marketing agency and also why you should hire one instead of doing everything on your own. If you are still stuck with your in-house marketing team, then ensure that they stick to the above-stated things. In case you find that your marketing team is not able to perform all these tasks then start doing your research right now. The digital marketing company can give you significant ROI or waste valuable time and money. If you take out some time and invest it for this survey then it will be advantageous for you in many ways. It was an interesting and informative article. Hiring a Digital Marketing Agency can be really difficult because you are unsure on what quality of services they provide. All the customers concern is to increase sales and generate leads from their investments. It is amazing to visit your blog! Thanks for sharing some great points to think before hiring an advertising agency. Your suggestions are definitely useful to small business owners.